Don’t be Late, More Points From Super 8! Planning your grocery shopping this week? Read this and think about what you will get back in return. Super 8 has given loyal shoppers like me the best way to amass points from their Super 8 Rewards Card. Like most rewards cards that offer point system based on every “X” amount of purchases, Super 8 has innovated a system that will just make me buy more items from their store. Through cumulative purchases, a shopper can get as much as 30,000 points (1 point = PhP1.00) that can be used to shop in other stores. 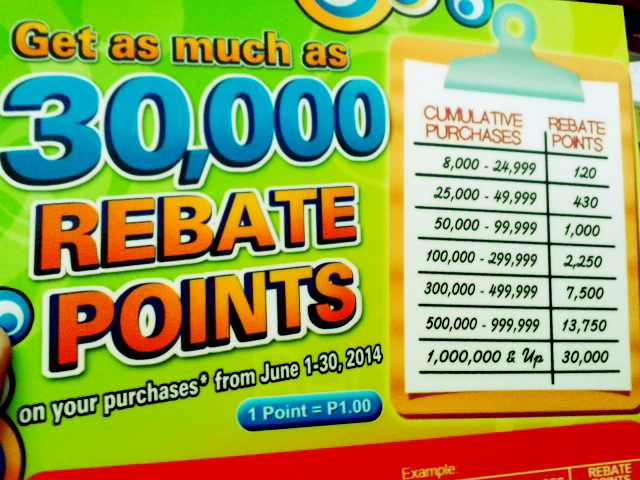 Other cumulative point systems isn’t as rewarding as their promo that has been running since April. I run a convenience store and with frequent purchases I make, the rewards I get at the end of a month is equal to additional capital I need to make more item purchases that my loyal store customer needs. I’m sharing this information because other stores will make you do other stuff like fill out a form or even redeem certificates that seem like they really do not want to give. Come check out Super 8 and tell them where you got your news because Filipino Consumers like you who read our blogs deserve more cost-saving measures like this. Looking for Super 8 stores in your neighborhood? Find them fast here!